Great Horned Owls around New York usually begin nesting while there is still snow on the ground. Our Brooklyn pair started incubating eggs on or around February 16th. I had high hopes that, after two failed attempts, this year they would successfully raise a family of owlets. Unfortunately, the odds were against them from the start and, as of last week, they had abandoned their nest. I had been intentionally keeping the details about their activities a secret, but for obvious reasons, I can now reveal what had occurred over this past winter. 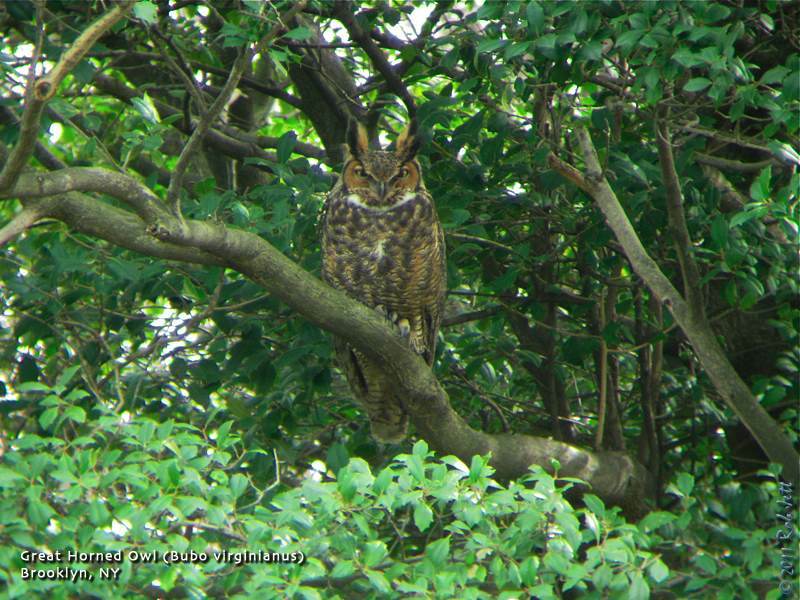 Back in late-December one of the Green-Wood Cemetery Great Horned Owls showed up roosting in Prospect Park. Her mate soon followed. My guess is that heavy snow and ice cover in the cemetery had made locating prey difficult for these nocturnal predators. On January 11th I went into Prospect Park at dusk hoping to hear them vocalizing, as this is about the time of year that they begin courting. I spotted the female in her usual roost tree and waited for her to wake. At around 4pm she began to stir, first looking around, then stretching out her wings. Ten minutes later she flew from her perch and headed directly to a dead tree that topped off in a hollow depression. It was about 50 yards from her roost. I watched in excitement as she examined the potential nest site. She dropped down inside the cavity. After a moment she emerged then flew to a long horizontal branch on an adjacent tree. It was close enough to the opening that it would be a good spot for branching owlets to fly across to. 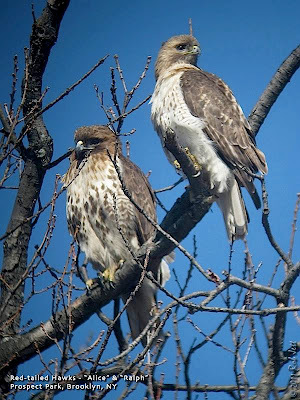 I was both ecstatic and troubled by the thought of these large raptors nesting in Prospect Park. 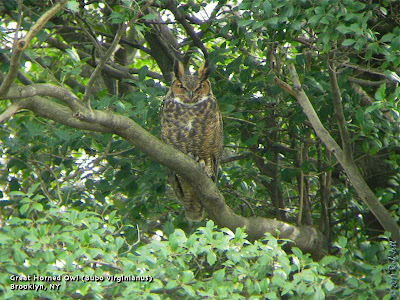 It would be the first time that Great Horned Owls would be nesting in the park since it opened to the public in 1867. There were also lots of potential problems. 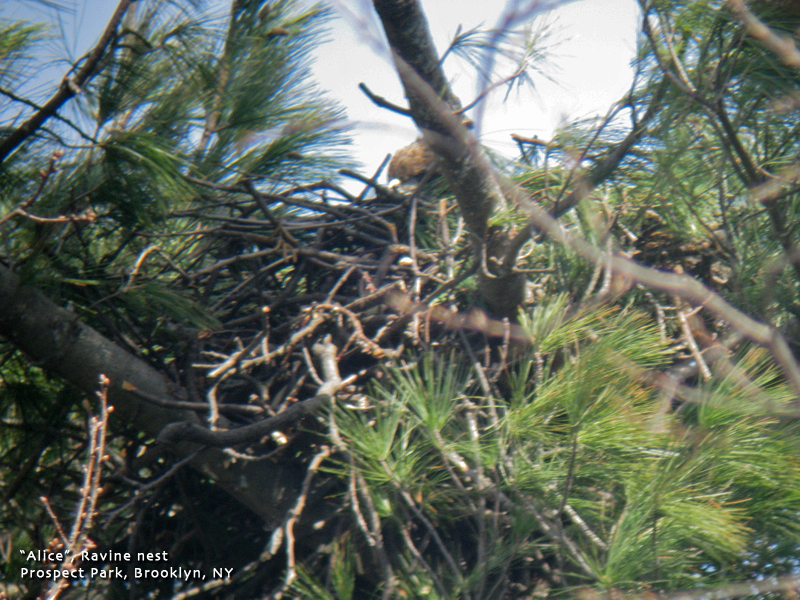 The first problem was its location in relation to an annual Red-tailed Hawk nest. It was actually about 50 yards away from the hawk nest. Once the hawks began working on their nest, would they see the owls and attack them? If the owls had young perched out in the open, would the hawks try to eat them? Second, the roost tree was, unbelievably, right next to the hawk nest...only about 30 feet away and directly above a busy walkway. Another problem with the nest was that, it too, was in a very busy area. It was only about 30 yards from Center Drive, where work vehicles and other unauthorized vehicles frequently speed passed well above the speed limit. If that wasn't bad enough, on the east side of the nest tree is an area in Prospect Park that is notorious for cruising, meaning that there would be a lot of foot traffic after dark. I don't fault the owls, it was very quiet in that area of Prospect Park while there was snow and ice on the ground. Once the snow melted, people and noise were nearly constant. I checked on her progress from a distance fairly regularly. It was easy to tell when she was on the nest as her tail feathers stuck out from the side of the tree opening, so I didn't have to get very close. One day in early March, I was near the roost tree when the male gave a reassuring "hoo-h'HOO--hoo-hoo" to his mate across the stream. The last day that she was on the nest was March 17th, around the time eggs would be expected to hatch. Marge was monitoring the area and spotted a couple of things that could have contributed to them leaving the nest and Prospect Park. At one point a family with kids and dogs were walking under the roost tree. For whatever reason, they decided to stop directly beneath the male owl. Marge described several minutes of loud talking, children shouting and dogs barking. She could see that the male was agitated. Then there were all the men walking back and forth in the woods near the nest tree. I won't go into detail as to why they were there. After we determined that the owls were gone I noticed that people had worn a trail through the dirt directly to the base of the owl tree. By the kind of detritus that they left behind, it became clear that there had been a lot of human activity in the darkness below the nest. Over at 10000birds.com artist and naturalist Julie Zickefoose has written an eye-opening piece about the plight of the "eastern" Whooping Crane. Whooping crane reintroduction efforts on the Eastern Flyway involve raising young whooping cranes and accompanying them on their migratory flights with ultralight gliders. The USFWS designated the whooping cranes in this population “nonessential and experimental.” So, one might surmise, it’s OK if they get shot by hunters thinking they’re sandhill cranes? It gives one to wonder why this designation was made. Sunday, April 3, 2011, 8 a.m.
See the birds that call the Park home all winter. Start your Sunday morning surrounded by nature! Leader: Rob Jett a.k.a "The City Birder"
No registration. Meet at Grand Army Plaza (Stranahan Statue) at 7:30 a.m.
Guide: Andrew Baksh or Urban Park Rangers. With the Van Cortlandt Park Conservancy, NYC Department of Parks and Recreation, and Urban Park Rangers. Meet at Van Cortlandt Nature Center. The history of birding and Van Cortlandt Park are inseparable. Influential birders such as Roger Tory Peterson and Allan D. Cruickshank got their starts on Van Cortlandt’s ecologically diverse grounds. These walks celebrate the tradition set forth by these great ornithologists. Participants will look for various species of migrants and discuss a wide range of avian topics. For more information, please call 718-548-0912. No registration necessary. No limit. Free. Sunday, April 3, 2011, 12:00 p.m.to 2:00 p.m.
From reptiles and amphibians to birds and mammals, we’ll look for signs of animal life during this one and a half mile hike to through the woodlands of Long Pond Park. In addition evidence of the geologic history and human influence on the park will be observed. Meet at PS 6, on Page Avenue and Academy Avenue about 3 blocks NW of Hylan Blvd. For more information phone Clay Wollney at (718) 869-6327. 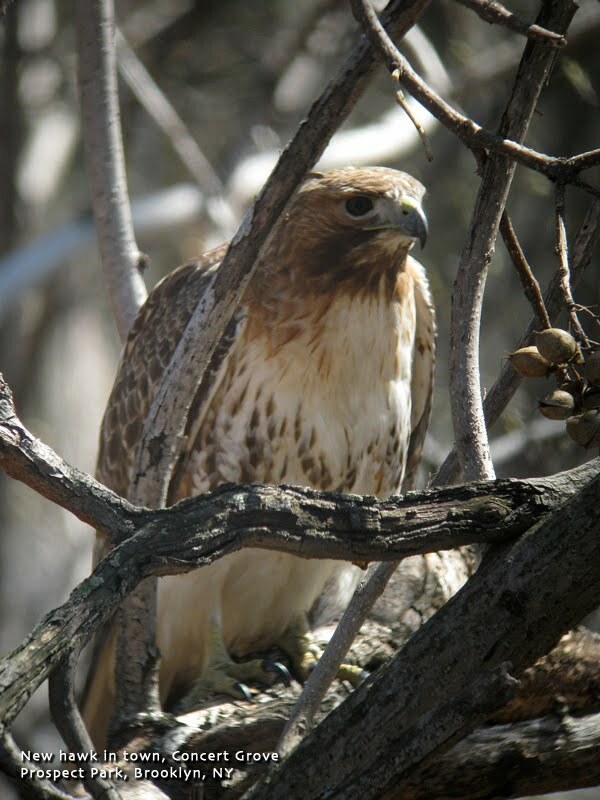 Join the Urban Park Rangers for early morning birding at Inwood Hill Park. 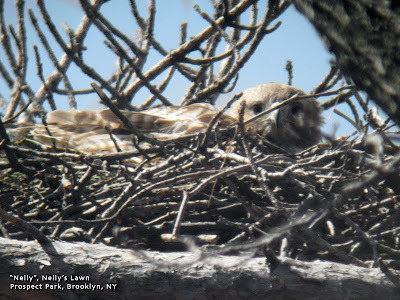 Our three pairs of Brooklyn Red-tailed Hawks have all laid eggs and are now sitting on their respective nests. There has also been an interesting development in Prospect Park which could make life for our urban wildlife even more stressful than normal. As I reported a couple of weeks ago, "Big Mama", our Green-Wood Cemetery red-tail, was the first of our Brooklyn hawks to commence incubating eggs. 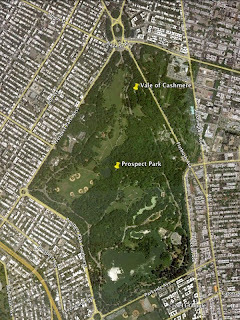 Some time this week (not sure because I was away) Alice sat down on her nest of 9 years in Prospect Park's "Ravine". This is the most difficult of the nests to monitor due to a lack of clear vantage points. 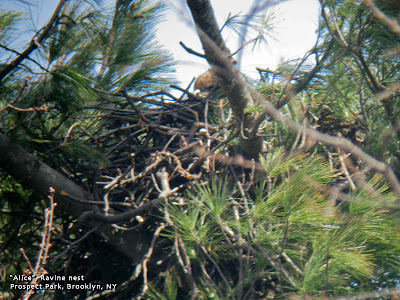 I was able to take one terrible photograph where you can see her head peering over the edge of the nest. I was concerned about Nelly and Max reusing their nest in the Japanese Black Pine at the east edge of Nelly's Lawn. The tree died over the winter leaving nothing more than a brittle shell that offers little or no protection from the elements. I guess the red-tails weren't as worried as me because Nelly was sitting on the nest yesterday. At Floyd Bennett Field most of the black pines there have died in an area called "Ecology Village" and I've noticed that the branches snap off with very little effort. I hope that the weight of the nest at Nelly's Lawn isn't too much for the supporting branches. I received a text message from Peter yesterday. The landscape crew was working on installing cribbing to control erosion on the steep ridge of Breeze Hill adjacent to the skating rink. 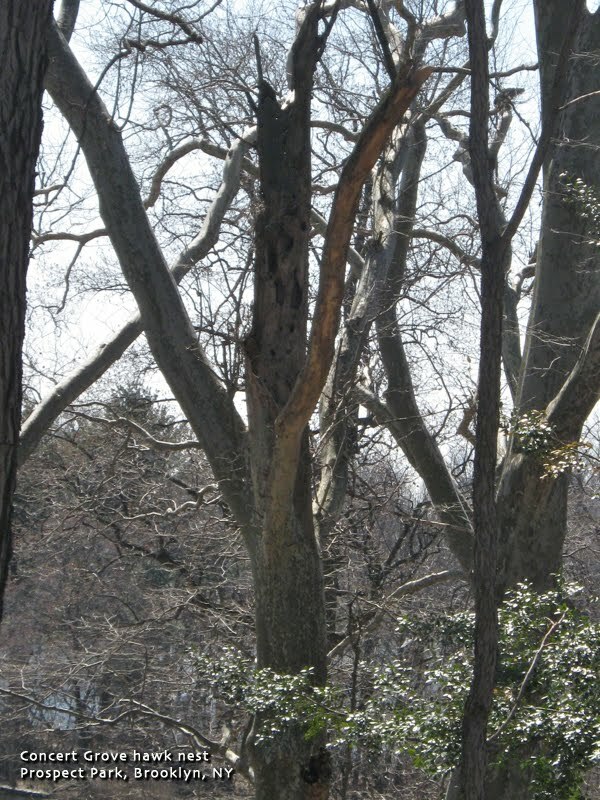 One of the people in the crew spotted a Red-tailed Hawk carrying a stick into the hollow of a dead London Planetree. Since all of our resident hawks are currently sitting on nests, this is a new breeding pair! The tree is in an area that is undergoing a major capital project. The Wollman Skating Rink complex is being demolished to make room for a new rink. The adjacent "Concert Grove" is now fenced off and the tree is behind the fencing. One unusual aspect of the nest is its placement. All of the Red-tailed Hawk nests that I've seen in New York City are positioned on top of a relatively flat surface, whether it is a tree or a window ledge. The nest that is being constructed by this new hawk in within a hollow of a dead tree - a location that I would associate more with nesting Great Horned Owls. If this pair of hawks successfully hatch a family I have one big concern - room. Young red-tails need space to climb around and stretch out their wings. At one point they enter a stage referred to as "branching". You can see from the wider view photograph that there is virtually no place for a young hawk to branch. At this point, the female of this pair doesn't appear to have accepted this nest. 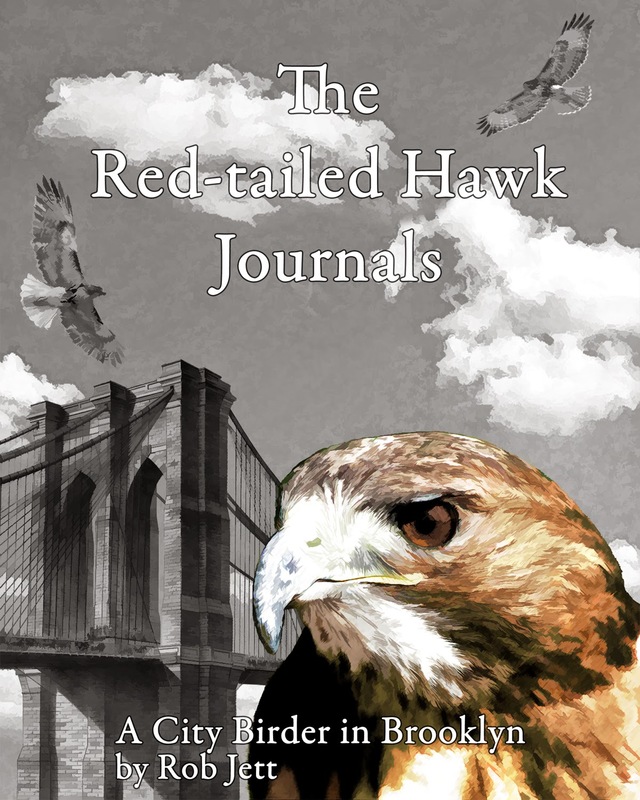 It is fairly late in the season for Red-tailed Hawks to start planning for a family, but we will see and I'll keep you posted as events unfold. Greetings. This is the New York Rare Bird Alert for Friday, March 25th, at 8:00pm. The highlights of today's tape are VARIED THRUSH, ROSS'S GOOSE, HARLEQUIN DUCK, WHITE-WINGED CROSSBILLS, GRASSHOPPER SPARROW, GLAUCOUS GULLS, ICELAND GULLS, and RED-HEADED WOODPECKER. The overwintering VARIED THRUSH was still in Central Park last weekend but was being seen more regularly closer to Fifth Avenue and the south side of the Metropolitan Museum of Art than in the maintenance area on the south side of the 79th Street Transverse. The immature RED-HEADED WOODPECKER was also still on the south of the Sheep Meadow, around the 66th Street Transverse. A BALD EAGLE cruised past Riverside Park on Saturday. Last Saturday at Jamaica Bay Wildlife Refuge, an adult ROSS'S GOOSE was spotted in a Snow Goose congregation at the south end of the West Pond. The ROSS'S also appeared early Sunday morning with Snow Geese in the marsh north of the West Pond, but has not been reported since. A SNOWY EGRET was at Jamaica Bay on Monday, and a few LAUGHING GULLS have been appearing in that area. A nice surprise last Saturday morning involved nine WHITE-WINGED CROSSBILLS, including a couple of adult males, that fed in the pines at Gilgo before flying off. Also unexpected along the Jones strip was an early GRASSHOPPER SPARROW reported Sunday morning at the Roosevelt Nature Center at Jones Beach West End. This sparrow was near the boardwalk, but could not be relocated later. Two EASTERN BLUEBIRDS appeared Saturday, and two overwintering RED KNOTS were still roosting with Black-bellied Plovers in the dunes at the Nature Center Sunday, when TREE SWALLOWS were very evident. Across Jones Inlet at Point Lookout, a fish run last Friday attracted an immature GLAUCOUS GULL and an adult ICELAND GULL, and up to eight HARLEQUIN DUCKS continue along the inlet and ocean jetties at Point Lookout. A PIPING PLOVER and many AMERICAN OYSTERCATCHERS have also been along the beach west of the westernmost jetty, and an immature ICELAND GULL was noted Sunday in the inlet. Moving east, out at the Grumman Grasslands in Calverton, a nice number of AMERICAN KESTRELS included about a dozen on Tuesday, and EASTERN BLUEBIRD and some EASTERN MEADOWLARKS have also been evident there, while two GREAT EGRETS flew by last Saturday. An immature ICELAND GULL continues to visit Iron Pier Beach in Northville, and an immature GLAUCOUS GULL was in Goldsmith's Inlet in Peconic on the North Fork on Tuesday. Other spring migrants not mentioned above that have been becoming more evident lately include WOOD DUCK, TURKEY VULTURE, OSPREY, AMERICAN WOODCOCK, EASTERN PHOEBE, BROWN CREEPER, GOLDEN-CROWNED KINGLET and BROWN-HEADED COWBIRD. For information on Sunday's pelagic trip from Freeport, call See Life Paulagics at (215) 234-6805, or visit their website at http://www.paulagics.com . To phone in reports on Long Island, call Tony Lauro at (631) 734-4126, or during the day except Sunday call Tom Burke at (212) 372-1483. I just returned from spending several days in south Florida. It felt good to soak up some 80+ degree weather after all the cold and snow we had to endure in the northeast this past winter. While we mostly went to visit with family, I made sure to leave time for some birdwatching. South Florida is very rich in birds and other wildlife, so it would be impossible for me not to stop and smell the roses, so to speak. We flew into Miami early in the morning and picked up a rental car for a drive across "Alligator Alley". Opting for the slower, more scenic route, we headed west along the Tamiami Trail towards Ft. Myers. 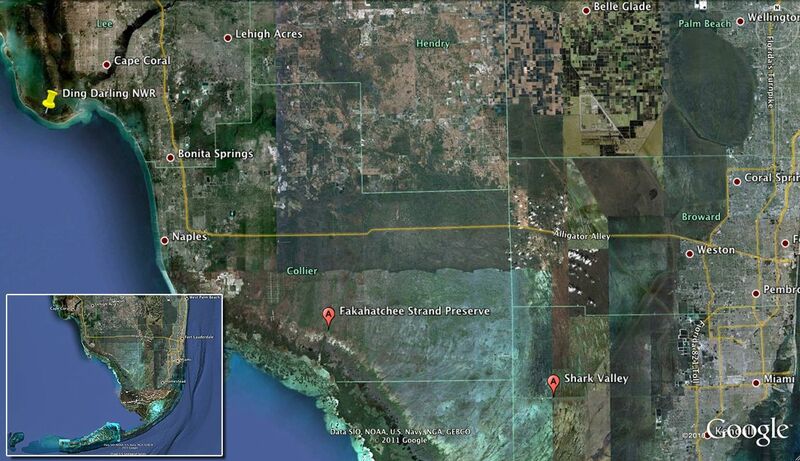 Our first stop would be Everglades National Park at Shark Valley. 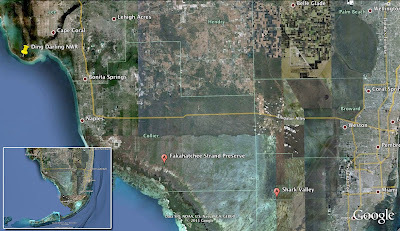 Shark Valley has a paved loop road the travels south into the everglades to an observation tower. There are bike rentals and guided tram tours, but I prefer to walk. I'd been to Shark Valley before and there is always a great variety of birds to see, as well as, lots and lots of gators. This little fella in the video below was standing in the middle of the road, but eventually permitted us passage (after we "answered these questions three"). One other location that we visited was a state park called Fakahatchee Strand. Unlike the other parks where I observed primarily wadding and other water birds, this forested habitat was loaded with songbirds. Among the birds at this location were Red-bellied Woodpecker, Downy Woodpecker, Great Crested Flycatcher, White-eyed Vireo, Blue-headed Vireo, Carolina Chickadee, Tufted Titmouse, Carolina Wren, Blue-gray Gnatcatcher, Gray Catbird, Northern Parula, Yellow-throated Warbler, Prairie Warbler, Palm Warbler and Northern Cardinal (didn't realize cardinals were southern birds). I wonder if I'll encounter any of the warblers on migration as they pass through Brooklyn. Now that our ponds and lakes have completely thawed, the number of Northern Shovelers in Brooklyn has increased dramatically. In another month, most will have moved North to their breeding grounds. Click here to check out a video of this duck's unusual feeding technique. The Co-operative's Green Schools initiative the most wide-ranging sustainability programme in UK schools. From helping to organize walking buses, to providing visits to green energy sites, and to farms to see how food is grown, we can engage pupils with a broader spectrum of projects than any other UK business. Sunday, March 27, 2011, 9:00 a.m. to 11:00 a.m. 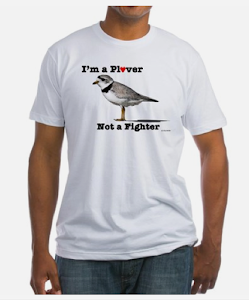 The early bird gets the worm and the first birds of the spring migration are arriving to dig them up. A walk through High Rock Park will offer great looks at the earliest arrivals of spring. Eastern Phoebe, both kinglets, Pine Warblers and other passerines are chasing the first signs of spring through the woodlands of Staten Island. Meet in the High Rock Park lot atop Nevada Avenue. Sunday, March 27, 2011, 11:00 a.m. to 2:00 p.m.
Be ready to do a lot of walking on sand. We will meet at the Conference House Pavilion at the end of Hylan Blvd and walk the beach to Lemon Creek then back again. Along the way we will pass Mount Loretto and the fishing pier at Sharrott Avenue. Expect to find a variety of seashells and other evidence of marine and intertidal life as well as flotsam and jetsam of human activities. For more information call Clay Wollney at (718) 869-6327. Sunday, March 27, 2011, 6:00 p.m. to 8:00 p.m. Walk the border of the Pouch Camp property at night to discover the creatures alive in the woodlands. With good luck and patience we will hear, and maybe see Screech Owl and Great Horned Owl. Though ambient light brightens the night sky flashlights are acceptable. Meet in the High Rock Park parking lot atop Nevada Ave.
For more information call Cliff Hagen at (718) 313-8591. Dust off your hiking boots and welcome springtime on the trails! We'll look for secret and corners of the park to photograph, so bring your camera! Join the Urban Park Rangers for early morning birding at Central Park. This is the Wilson's Snipe that was found in Prospect Park's Vale of Cashmere. Until relatively recently, the species was considered a subspecies of the European Common Snipe. They have been split into two distinct species. I've searched for any articles that discuss the differences between these two birds. Though still a little confusing, I found a decent comparison here. 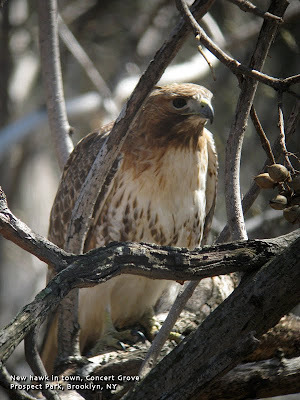 During a noon break, I took a walk into Prospect Park to check on our nesting raptors. In my experience, it's probably a little early for our resident Red-tailed Hawks to be sitting on eggs, but anything is possible. Peter and one of his co-workers were working in front of the Picnic House and I stopped briefly to say hello. As we were talking I received a a phone call from Rob Bate, who was also in the park. He told me that he was looking at a Wilson's Snipe in the Vale of Cashmere. The Vale of Cashmere is located within a natural amphitheater near the northern end of the park. Its small decorative pond and fountains are surrounded by a brickwork walkway. Weeping cherry trees and other ornamental botanics in this spot are typical of a Victorian garden landscape. It is, historically, a very good birdwatching spot. The Red-tailed Hawk nest on Nelly's Lawn is only about 200 yards south of the vale, so it wouldn't be out of my way to go look for the snipe. The water has been turned off in the pond at the vale since last fall. What water does remain is just a couple of small puddles from recent rains. The bottom of the kidney-shaped impoundment is a muddy mix of decaying leaves, phragmite shoots and, where there is water, duck weed. The resulting rich humus and earthworm incubator is a perfect foraging habitat for snipe. 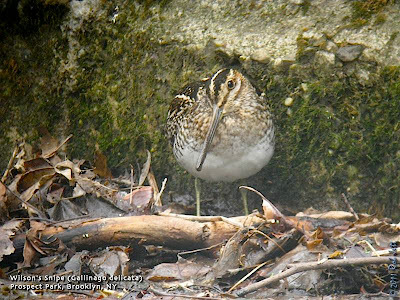 Wilson's Snipe are fairly common on migration, in the right habitat, but their cryptic plumage and skittish behavior make them difficult to see. I usually look for them in the wetland at Four Sparrow Marsh and, even then, usually only spot them flying away from me. Rob was still at the vale, along with Bob O'Neill, who initially spotted the snipe. Thankfully, the snipe was also still there. The bird was sleeping with its long bill tucked under its wing. After a few minutes of watching, it woke up and began probing the mud for worms. Notice in the video below how it bobs up and down, similar to the American Woodcock. This past Saturday I did some birding around coastal Brooklyn. One stop was at Floyd Bennett Field. With all the city's lakes and ponds finally thawed, I thought it might be worthwhile to take a peek at the Return-a-Gift Pond. Located in the "North Forty" section of Floyd Bennett, the 2-acre Return-a-Gift Pond is a man-made seasonal oasis for waterfowl and wading birds. It is also a very good spot to look for dragonflies. The pond is named for its method of funding - the "return a gift to wildlife" checkbox on ones federal tax returns form. It is sometimes just referred to as "RAG Pond". Perhaps it's time to have a naming contest. I've been doing some overdue blog house cleaning. The latest update has been to the "New Links" section. Some of the links had been in that list for too long to be considered new, so I've moved them into the appropriate links section. Matt Wills "Backyard and Beyond", as well as, "The Brooklyn Bachelor" and "Field Guide NYC" have been relocated to the "Nature Blogs" pulldown menu. Cornell's "Celebrate Urban Birds" can now be found under the "Conservation and Ecology" menu and Ladybird Johnson's "Wildflower Center" now lives under a newly created "Botany" menu. Let me know if you have any favorites to add to the last category. Forests are to be created by dropping millions of trees out of aircraft. Equipment installed in the huge C-130 transport aircraft used by the military for laying carpets of landmines across combat zones has been adapted to deposit the trees in remote areas including parts of Scotland. An idea, originally from a former RAF pilot, Jack Walters, of Bridgnorth, Shropshire, has been developed by the US manufacturer Lockheed Martin Aerospace so that 900,000 young trees can be planted in a day. A company set up to market the idea, Aerial Forestation Inc, of Newton, Massachusetts, believes that companies with polluting power plants will be forced by governments to plant forests to offset the global warming effect of the carbon dioxide they emit. Planting via the C-130s will halve the cost of manual methods. Peter Simmons, from Lockheed, said: "Equipment we developed for precision planting of fields of landmines can be adapted easily for planting trees. "There are 2,500 C-130 transport aircraft in 70 countries, so the delivery system for planting forests is widely available - mostly mothballed in military hangers waiting for someone to hire them. "The possibilities are amazing. We can fly at 1,000ft at 130 knots planting more than 3,000 cones a minute in a pattern across the landscape - just as we did with landmines, but in this case each cone contains a sapling. That's 125,000 trees for each sortie and 900,000 trees in a day." The tree cones are pointed and designed to bury themselves in the ground at the same depth as if they had been planted by hand. They contain fertilizer and a material that soaks up surrounding moisture, watering the roots of the tree. The containers are metal but rot immediately so the tree can put its roots into the soil. Moshe Alamaro for Aerial Forestation was in Bridgnorth last week visiting Dr Walters, who published his idea in a paper 25 years ago while at the university of British Columbia in Canada. Mr Alamaro said: "We are seriously considering contacting British royalty and recommending that Jack is knighted. "It was a great idea, which he tested at the time and found it worked, but the technology was not up to the job. Now with metal that biodegrades at once as it hits the soil, we are planting the trees and giving them a head start all at once." Dr Walters said: "I am delighted the idea has been taken seriously. I did the preliminary tests to make sure the trees survived the fall, and it all worked. But I hadn't any money for a development budget. "Moshe read about my work in the scientific literature and came to see me." He said a man on the ground can plant 1,000 trees a day. "If we are going to combat global warming by collecting carbon in the wood of trees, we will want millions of them a year. Airborne planting is probably the only way." Mr Alamaro believes that the system will work in any area that used to contain trees, and even in desert areas where the cones can be adapted to plant suitable shrubs. He has a pilot project planned for the Sinai desert in Egypt. "One of the areas we are interested in is the Scottish mountains which used to be forested and could be again. We have already talked to landowners, and they are a bit worried about local resistance because people have got used to seeing the hills bare. We could replant the native forest very quickly." He also hopes to replant large areas of the Black Forest cut down during the cold war to provide "line of sight" across the iron curtain between east and west Germany, and is exploring contracts in north Africa, the tundra of Canada, Australia and the US. In five years he believes that his company could be planting a billion trees a year - enough to reforest 3,000 square miles. Saturday, March 19, 2011, 10:00 a.m. to 2:00 p.m.
Meet in the Nevada Avenue parking lot at High Rock Park. We plan to follow the Red Dot Trail that loops behind the administration buildings and cut invasive vines that strangle the young trees. We will also use our weed wrenches and pick-mattock on clumps of multi-flora rose and devil's walking stick that grow beside the trail. If you don't have your own, Protectors will supply pruners, gloves and refreshments. We will follow the two hour work session with a short walk along nearby trails. After a two hour work session (our 177th consecutive monthly workshop), we will take a short walk over nearby trails. Let the Rangers do the talking while you do the walking on this fast-paced hike. 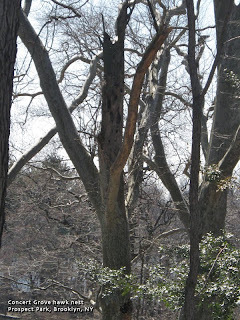 Celebrate the coming of spring by exploring the vernal ponds of Blue Heron Park. Greetings. This is the New York Rare Bird Alert for Friday, March 11th 2011 at 8pm. The highlights of today's tape are VARIED THRUSH, ROSS'S GOOSE, BARNACLE GOOSE, GREATER WHITE-FRONTED GOOSE, CACKLING GOOSE, BLACK-HEADED GULL, BARROW'S GOLDENEYE, NORTHERN SHRIKE and extralimital PINK-FOOTED GOOSE and more. With Spring transitioning in, one winter rarity that continues locally is the VARIED THRUSH in Central Park. This still occasionally appearing around the maintenance area south of the 79th Street transverse. It's also moving north of this transverse and feeding nearer the Metropolitan Museum while today it was spotted at Cedar Hill. The RED-HEADED WOODPECKER also remains just south of the Sheep Meadow. However lately the regional emphasis has been on migrating waterfowl. The Black Dirt region of Orange County, around the town of Pine Island, has for the past week or more has been attracting thousands of Canada and Snow Geese and with them have been 9 or more ROSS'S GEESE including a spectacular blue form seen last Saturday and Sunday as well as a BARNACLE GOOSE last Friday and Saturday, up to 12 GREATER WHITE-FRONTED GEESE, some CACKLING GEESE and up to 10 TUNDRA SWANS. Large numbers of ducks also continue in that area and a PINK-FOOTED GOOSE has been present recently in nearby Bergen County New Jersey. At Jamaica Bay Wildlife Refuge two other notable waterfowl featured a drake BARROW'S GOLDENEYE reported Saturday well out in the northwestern section of the bay with some Common Goldeneye and a drake Eurasian form of GREEN-WINGED TEAL lingering on the West Pond often at the north end. Also at the bay 24 COMMON REDPOLL were in the East Garden near Big John's Pond Saturday and several AMERICAN WOODCOCK have been displaying there as well as in many other suitable locations recently. An immature NORTHERN GOSHAWK flew by the south end of the West Pond Monday and good numbers of SNOW GEESE and waterfowl are currently present there. Two SALTMARSH SPARROWS were in nearby Big Egg Marsh on Saturday. Out at Fort Tilden Monday an adult BLACK-HEADED GULL was feeding with Bonapartes off the Fisherman's Parking Lot. An immature ICELAND GULL and an adult LESSER BLACK-BACKED GULL were also spotted there with another LESSER BLACK-BACKED GULL and a mystery gull at Floyd Bennett Field on Thursday. 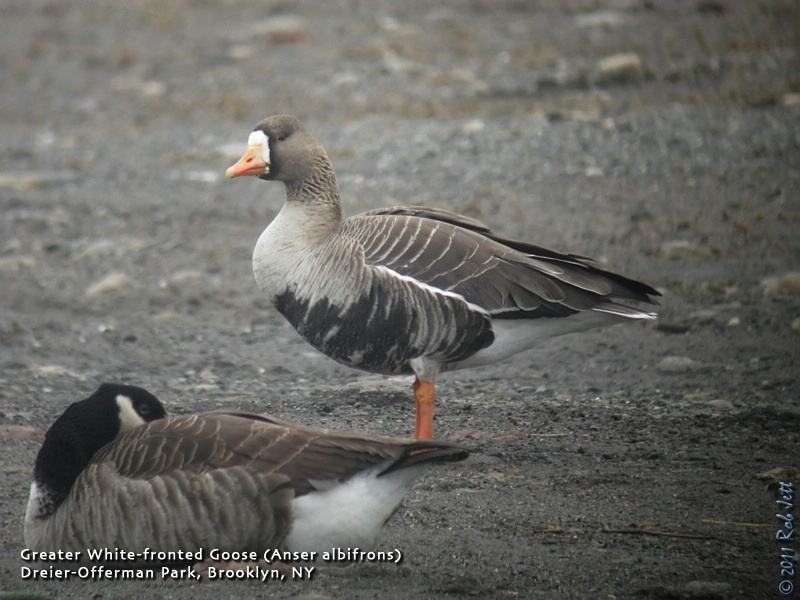 A GREATER WHITE-FRONTED GOOSE found last Saturday at Calvert Vaux Park in Brooklyn was still present on a ball field there Thursday and also noted there last Saturday were 5 COMMON REDPOLL and an immature RED-SHOULDERED HAWK. At least 6 HARLEQUIN DUCKS remain along the ocean jetties at Point Lookout where an immature ICELAND GULL occurred last Saturday. A couple of TREE SWALLOWS were at Jones Beach West End on Saturday and AMERICAN OYSTERCATCHERS have returned in decent numbers. Four GREATER WHITE-FRONTED GEESE were spotted with Canadas at Sunken Meadow State Park last Saturday. Out at Napeague both the NORTHERN SHRIKE and the LESSER BLACK-BACKED GULL were present at Lazy Point on Tuesday and Sunday both days also finding a CACKLING GOOSE at Deep Hollow Ranch off Route 27 east of Montauk. At Montauk Point Sunday the mass of sea ducks was augmented by 6 RAZORBILLS and an adult LESSER BLACK-BACKED GULL and 12 more RAZORBILLS plus a female KING EIDER were off Amagansett. A RED-NECKED GREBE was at Culloden Point in Montauk Sunday with 2 COMMON REDPOLLS at Ditch Plains. The duck feeding site off David's Lane north of Hook Pond in East Hampton has recently provided nice views of up to 5 WOOD DUCKS and 12 RUSTY BLACKBIRDS. An adult LESSER BLACK-BACKED GULL was at Iron Pier Beach in Northville Thursday and 25 COMMON REDPOLLS were noted over the weekend at Cupsogue County Park in West Hampton Dunes. To phone in reports on Long Island, call Tony Lauro at (631) 734-4126, or during the day except Sundays call Tom Burke at (212) 372-1483. If you do a quick Google search you'll find that there are lots of Lepidoptera websites and blogs dedicated to butterflies, but you don't see too many that focus on moths. That's one thing that stands out about Dan's Mothing blog, the other are his great moth photos. Greater White-fronted Goose from RJ on Vimeo. The Greater White-fronted Goose is very rarely seen in Brooklyn, in fact, this species is not observed very often in New York State. In the United States it is commonly found west of the Mississippi River. This individual was found within a flock of Canada Geese at Dreier-Offerman Park (also known as Calvert Vaux Park). Earlier this winter Heydi and I observed several species of raptors hunting over White Island. 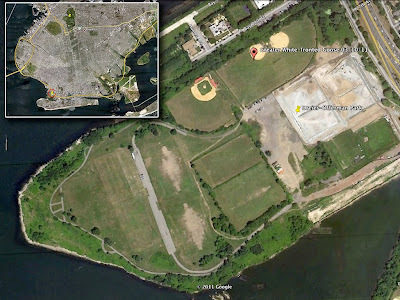 I've only viewed this 77 acre island owned by the NYC Department of Parks & Recreation from the western shore of Gerritsen Creek as is inaccessible by the general public. 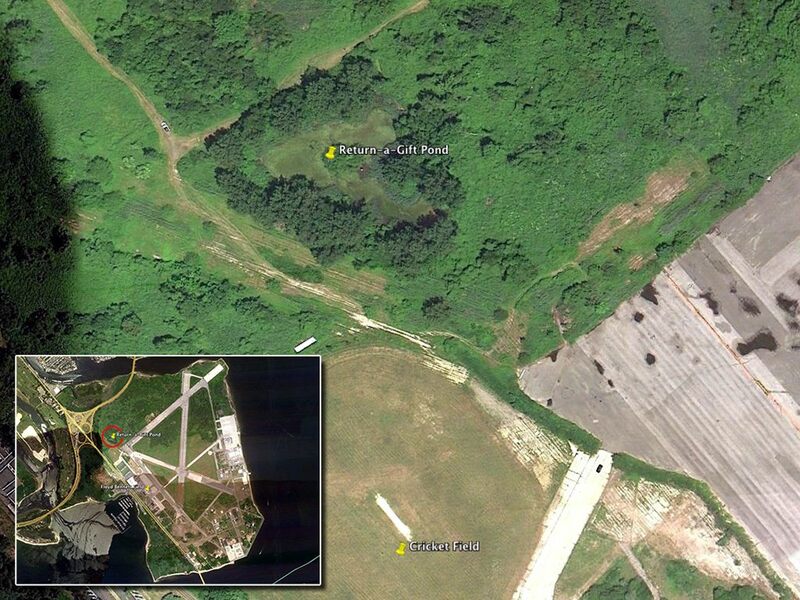 I decided to do some research about this intriguing patch of urban nature and maybe do a little close up exploring. "Within the tidal inlet of Gerritsen’s Bay is the island sometimes known as Barren Island. It is also commonly known by two other names, White Island and Mau-Mau Island (Cornell 1997). This island has been reported as being a center of the wampum industry and remained uninhabited by Europeans until the late eighteenth century (Seitz and Miller 1996: 228-230). Members of the Schenck family who built a mill on the island and a bridge to the mainland (Stayton 1990:77) owned the island. By the mid- nineteenth century various businesses were set up on the island. Most of these involved fertilizes, fish oil, glue and garbage disposal industries (Seitz and Miller 1996:229). The City of New York purchased all of the property in tidal creek area by the early 1930s. 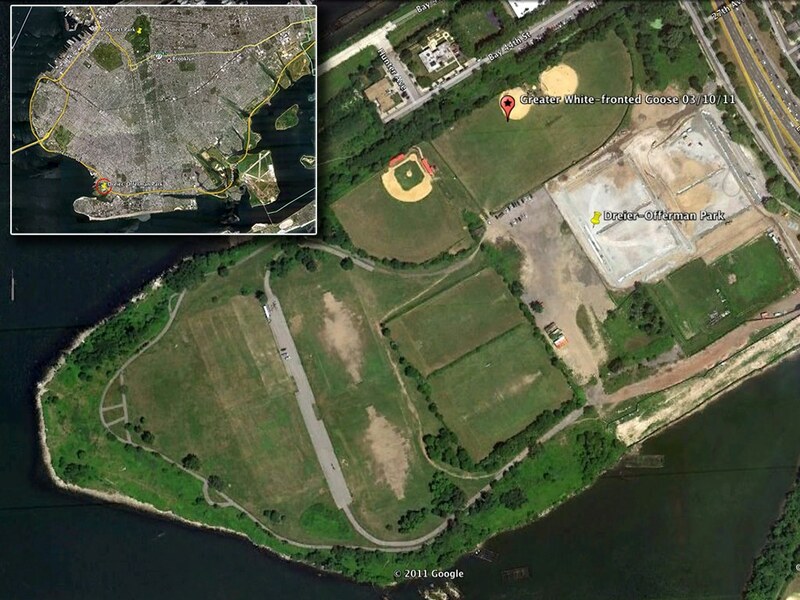 Their plan was to turn the area into a public recreation facility (Black 1981)." The parks department is currently spending $15 million to restore the dune and grassland habitat on White Island in response to promises made in the mid-1990s. It was during that time that developers were allowed to destroy a large chunk of important habitat to build the Gateway shopping mall near Erskine Avenue. The razed area was known as Vandalia Dunes and according to environmentalists approximately 56 of the 93 acres of dunes were significant habitats for many species of animals, including the Henslow's Sparrow. Read a NY Post article here. Download a parks department capital projects factsheet here. Last Saturday there were strong winds blowing in from the south. We were ambivalent about paddling to the island against the wind, but I decided that a windbreak formed by the western shore should make it fairly easy. The only hard part would be when we had to head east, exposing us to the full force of the gusts. Neither of us were wearing waterproof gear, so ended up a little soggy by the time we pulled up onto a narrow sandy opening along the island's north shore. Thankfully, the sun was shining and it was a mild 50 degrees. Despite restoration efforts, a narrow, but fairly dense wall of invasive phragmites ringed the island's north-western edge. As we climbed the hillside towards the top of the dome-shaped island, we spotted an American Kestrel teetering on a snow fence. A few yards from there we flushed a flock of four Killdeer. There were curious, large mounds of wood scattered around the island, most likely the remains of trees and shrubs removed during the restoration process. I speculated about the size of rodent that could build these giant beaver dens. Tumbleweed littered sections of the island and, like flies caught in a spiderweb, many were snared by the heaps of gray, sun bleached wood. Hummocks of native dune grasses protecting the perimeter of the newly created dunes created great bird habitat, unfortunately, gusting winds kept most wildlife activity to a minimum. Feeding in the windbreak at the channel on the eastern side of the island were Brant, Canada Goose, American Wigeon, Mallard, Green-winged Teal, Bufflehead, Red-breasted Merganser and Ruddy Duck. A single Pied-billed Grebe was hanging out under the rotted timbers that remain of the bridge to the mainland. We were heading back to the kayaks, walking along the remains of a road, when I spotted a male Ring-necked Pheasant. He ducked his head down and quickly vanished into the tall grass. Following in the direction of the pheasant, we flushed two small, sparrow-like birds. They perched low in the grass, out of the wind. The sparrows turned out to be a pair of Common Redpolls. When they took off, the strong wind practically carried them into the creek below. 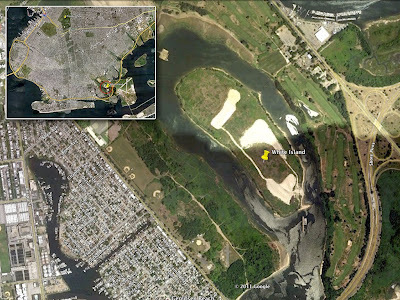 I hope that the parks department continues with the White Island restoration project. The coastal habitats around New York City have been degraded for decades and only recently have our politicians begun to understand the importance of these ecosystems. Nesting season for our local Red-tailed Hawks is upon us and they have stepped up their activities in Green-Wood Cemetery and Prospect Park. These large raptors spend much of their time apart during the winter, but lately they seem to have become inseparable. They can frequently be seen soaring together or talon grappling. More often one will just dangle its feet above the other while the two kite in an updraft. They have been vocalizing quite a bit, too, as I've suddenly been hearing their familiar "keeer" more often. < /embed> "Alice" and "Ralph" have stepped up construction on their annual pine tree nest in the Ravine. This will be their tenth year in Prospect Park. I just received a note from Marge that she witnessed "Big Mama" and "Junior" copulating in Green-Wood Cemetery (this seems so wrong on several levels). This will be their third year in the linden tree nest, which is now so large that it looks more like an eagle's nest. I'm keeping my fingers crossed that our Brooklyn owls, after two failed attempts, will finally succeed this year. I should know by next week if they have hatchlings in the nest. 10 Ways to Improve Our Environment. Explore the Park's natural and learn how to look for amazing birds. 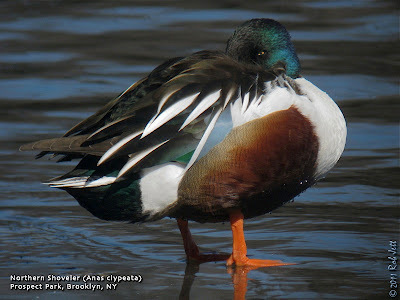 Marine Park to Floyd Bennett "Green Hike"
Focus: Winter species passage, early spring migrants, waterfowl. No registration. Meet at Visitors Center at 10:00 a.m. Hike the trails and beach at New York's best kept natural secret -- Dead Horse Bay, along the edge of Jamaica Bay. Join naturalist Mickey Maxwell Cohen, author of Exploring the Trails of Dead Horse Bay and discover little known woodlands, coastal thickets, and a treasure-laden beach. This is a partnership program with the American Littoral Society. Explore the Hudson River’s avian ecology starting at the tip of Manhattan and migrating north. Walks are every 2nd and 4th Sunday, and alternate between Wave Hill and other Hudson River sites. Wave Hill: Meet at the Perkins Visitor Center and Explore Wave Hill's woodlands and gardens on nature discovery walks. Ideal for ages 10 and up. Registration recommended: online, by calling 718.549.3200 x305 or at the Perkins Visitor Center. Severe weather cancels (For weather-related updates, call 718.549.3200 x245 by 8am the day of the walk). $10 for Wave Hill or NYC Audubon members/$18 non-members. Investigate the early buds on the trees, newly arrived spring birds and other signs of the upcoming spring season in the woods and wetlands of Blue Heron Pond Park. Meet in the Nature Center, 222 Poillon Ave. Call Seth Wollney at (718) 483-7105 for more information. 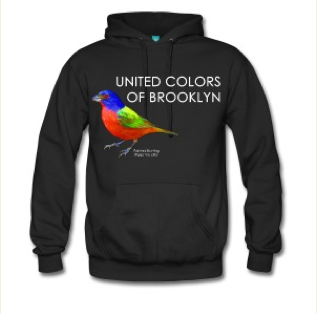 Observe the hardy birds that spend their winter in Brooklyn. Spring Ahead at Alley Pond Park. Spring is just around the corner; let's see what's starting to peek through our forest. Greetings. This is the New York Rare Bird Alert for Friday, March 4th, at 9:00pm. The highlights of today's tape are THICK-BILLED MURRE, EARED GREBES, VARIED THRUSH, ROSS'S GOOSE, BARROW'S GOLDENEYE, BLACK-HEADED GULL, NORTHERN SHRIKE, and more. The signs of Spring keep appearing; winter birds remain the highlights locally. Out east, two EARED GREBES were found last weekend. The first appeared Sunday off Ditch Plains, east of Montauk. The bird was with 40 or so Horned Grebes just east of the easternmost of the three beach parking lots and just in front of the trailer park. Also in that area, a dead THICK-BILLED MURRE was found along that stretch of beach on Saturday. On Wednesday another EARED GREBE was spotted off Amagansett where it may have wintered. It was seen off Atlantic Avenue on Wednesday and off Indian Wells Highway on Thursday. The Montauk WESTERN TANAGER has not been seen for a while, but the NORTHERN SHRIKE at Napeague was spotted several times over the weekend. Saturday evening it went to roost at Lazy Point, and on Sunday was seen both out on Hicks Island across from the boat ramp, and later back at Lazy Point. The LESSER BLACK-BACKED GULL also remains there. At Montauk Point at least seven KING EIDERS continue off the Camp Hero overlook, and about a dozen RAZORBILLS were seen around the Point on Sunday, with a RED-NECKED GREBE off the Montauk Town Beach. Another RED-NECKED GREBE was off Montauk Harbor Inlet on Wednesday, when a PIPING PLOVER also appeared at Napeague. Watch for the two immature ICELAND GULLS, west of the Montauk Harbor Inlet. On Sunday the ROSS'S GOOSE was reported only in flight west of Scuttle Hole Road, but many of the geese present there disappear easily in the field dips along Cook's Lane north of Water Mill. Along Dune Road west of Shinnecock Inlet Sunday there were two flocks of over 30 COMMON REDPOLLS, with other scattered about the East End. The drake BARROW'S GOLDENEYE was still in Noyack Bay recently. Look for it around the southwestern corner of the bay, off the Long Beach parking lot. Two LESSER BLACK-BACKED GULLS were on Agawam Lake in Southampton Sunday. An ICELAND GULL continues at Iron Pier Beach in Northville, and ROUGH-LEGGED HAWKS remain at the Grumman Grasslands in Calverton. The drake BARROW'S GOLDENEYE was present at least to Tuesday morning at Jamaica Bay Wildlife Refuge, where it has been seen on the West Pond or in the bay west of there. A drake Eurasian GREEN-WINGED TEAL, found on the West Pond last Sunday, was still on the West Pond along with other Green-winged Teal on Thursday. On Tuesday Jamaica Bay also produced SHORT-EARED OWL and TREE SWALLOW, along with three displaying AMERICAN WOODCOCK. Another Eurasian GREEN-WINGED TEAL was seen Sunday on Hendrix Creek in Brooklyn. An adult BLACK-HEADED GULL was moving east, past Fort Tilden on Tuesday, the same day that immature ICELAND GULLS were spotted at Breezy Point and Jones Beach West End, parking field #2. Last Saturday, winter finches in the Jones Beach area featured a WHITE-WINGED CROSSBILL at Point Lookout and around 50 COMMON REDPOLLS at the Jones Beach West End Coast Guard Station. Eight HARLEQUIN DUCKS were also along the Point Lookout jetties. An EASTERN PHOEBE appeared at Robert Moses State Park on Tuesday, and another TREE SWALLOW visited McDonald's Pond [aka Orowoc Lake in Islip, viewable from the McDonald's parking lot] off Route 27A, east of Bay Shore Thursday. The Central Park VARIED THRUSH, wandering fairly extensively now, is now best caught up with on the maintenance area slope on the east side of the Ramble shed, just south of the 79th Street Transverse. The immature RED-HEADED WOODPECKER continues south of the Sheep Meadow, around the 66th Street Transverse. 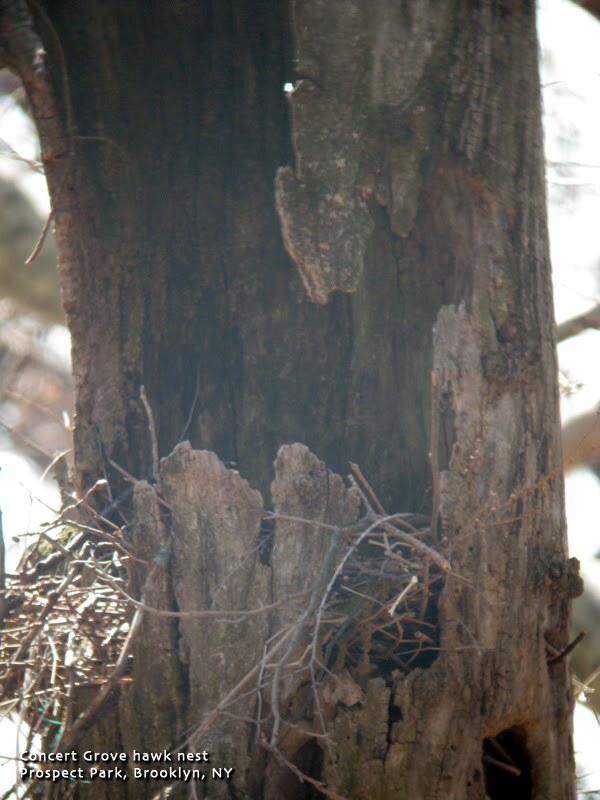 COMMON RAVENS are again utilizing their Forest Hills nesting tower, but to correct last week's tape, the ravens in Roslyn have returned to their suspected nesting area, but they have not been confirmed breeding there as yet. 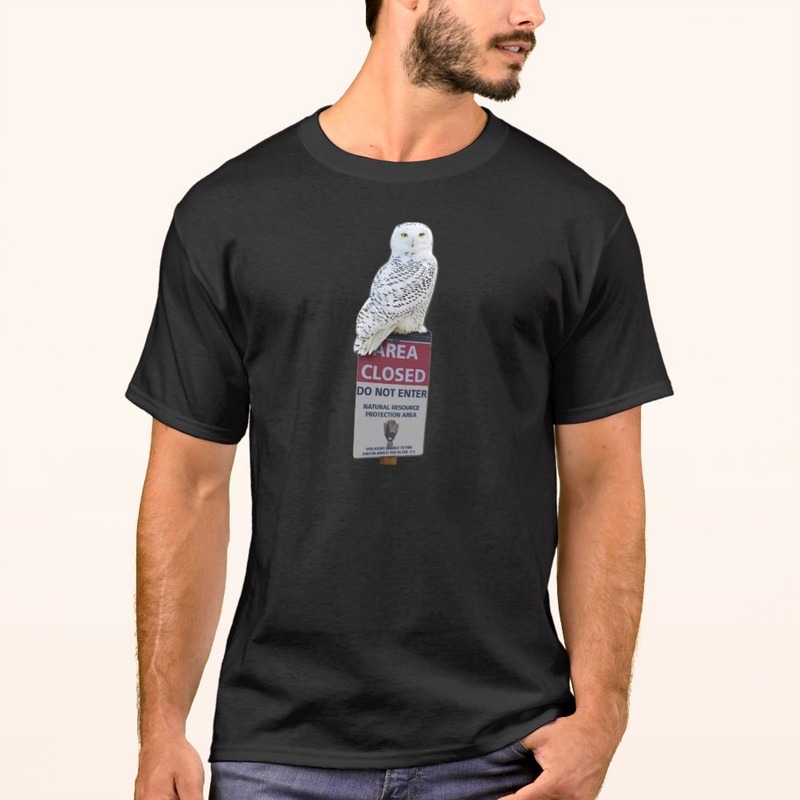 In a very sensitive nesting situation, the BARN OWLS at Jamaica Bay Refuge should be viewed *only* from the bird blind at the south end of Big John's Pond.